What can we expect from our friends, family members, and loved ones when we become older adults? Expert guest writer, Kaya Quinsey, studied clinical psychology at the Adler graduate school. She has a passion for researching romantic relationships, and has clinical experience working with individuals from all age groups and walks of life. One of those inevitable parts of life is that we all age – that and taxes. Those of us in our golden years bring decades of wisdom and experience from our friendships, romantic relationships, and various other social roles. Have you noticed that the various roles you play, husband, wife, mother, father, friend, daughter, son, have changed throughout your life? Of course! The roles that we play change dramatically as we age and the people in our lives treat us accordingly. Researchers from Purdue University have shown that we are more likely to have golden relationships in our golden years (Patterson Neubert, 2010). “Older adults report better marriages, more supportive friendships and less conflict with children and siblings,” said Karen Fingerman, the Berner-Hanley Professor in Gerontology, Developmental and Family Studies. 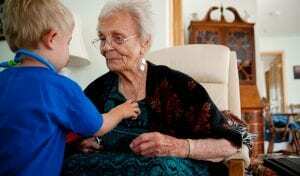 What this research suggests is that people of all ages are more likely to forgive older adults, making the conflict we do experience less lengthy. 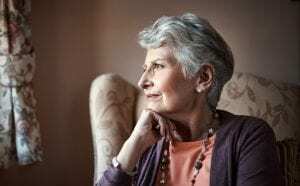 Fingerman and Susan T. Charles, an associate professor of psychology and social behavior at the University of California in Irvine, have found that older adults are less confrontational than younger adults when they are upset. That means that the relationships we maintain with our partners and peers are less likely to end in conflict. 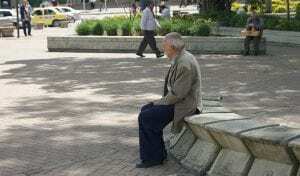 A reason could be because we have learned to pick our battles, or realized that some things are better left unsaid, as the old adage goes, “let sleeping dogs lie.” Either way, it bodes well for the connections we maintain with our similarly aged peers. Our relationships change as our needs shift. Either our loved ones, or even ourselves, may need extra help with the demands of everyday life due to chronic illness or during a crisis. Our relationships with our children may change as they develop a strong sense of responsibility and commitment toward the ones who raised them. 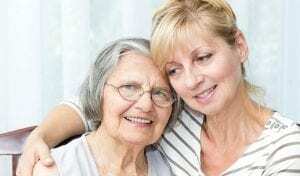 Many adult children provide caregiving in spite of time, distance, or competing responsibilities. The kinds of support we receive from our loved ones may change, and that is completely normal. As we age, we may require additional help with instrumental tasks such as housework, transportation, shopping, and personal care. Some may never require help with these tasks, while others may require additional help outside the family. In these circumstances, emotional support can be helpful as we confide and gain comfort from others, and receive reassurance from talking about our problems. The kinds of support we require later in life may look different from how it did in earlier years. It has been well documented that positive relationships with a spouse, family or friends are a significant factor in the overall health and well being older adults (Antonucci et al., 2010). 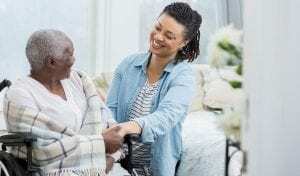 It is important to remember that as we age, often social support systems tend to decrease and that it is beneficial to remain as socially active as possible. Those that give of themselves to others, cherish each day, possess a positive self attitude, and maintain a social support system are key evidence as to how one can age successfully (Reichstadt et al. 2010). We at the Freedom Blog hope you’ve found these insights interesting and find them helpful as you navigate your relationships. Thank you Kaya, we hope to have you back! Do you have any experiences you’d like to share on how your relationships have changed? Any tips to add? Or do you have an idea for future articles? Please comment below, we’d love to hear from you!